. 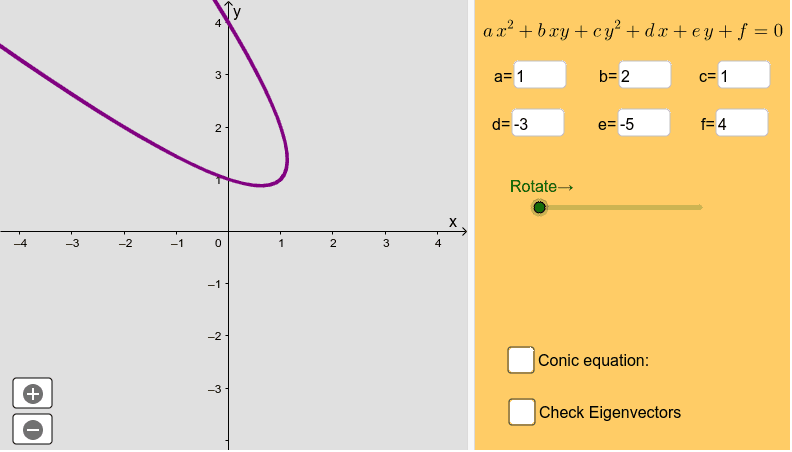 Graphs of quadratic equations are known as conic sections. By means of a rotation of the plane about the origin, a translation of the plane, or both, it is possible to represent every conic in a simplified standard, or canonical, form. With the following simulation you can observe the rotation and translation of the axes in order to put a conic in standard position. It also provides the equation of the conic in the final coordinate system.